Mighty vac testing today reveals a bad green line actuator - no biggie. More curious are the failed white and black lines. The white line fails, which suggests a bad heater valve. On the 85, this appears coupled with another actuator - see photo. In tandem, are these two one piece or two separate pieces? Black line fails as well, even when I cap off tributary lines to cruise control and reservoir. Does this indicate a bad check valve? Unlike the other lines, this one doesn’t terminate in an actuator, so I’m a little stumped as to what actually is failing here. how are you testing these lines? to test the HCV remove the hose from the unit/pod and connect the mytivac you should see the valve close with applied vacuum. If you then test the white line then you ,may find it will not hold vacuum as the solenoids open the ATM when they are not in service. NOTE You will not be able to hold a suction on the black line unless all of the pods in the system are leak free. Tested all colored lines from HVAC control unit. Green failed. White failed. Black failed. HCV must be shot, because Mity-vac’ing right at actuator fails. 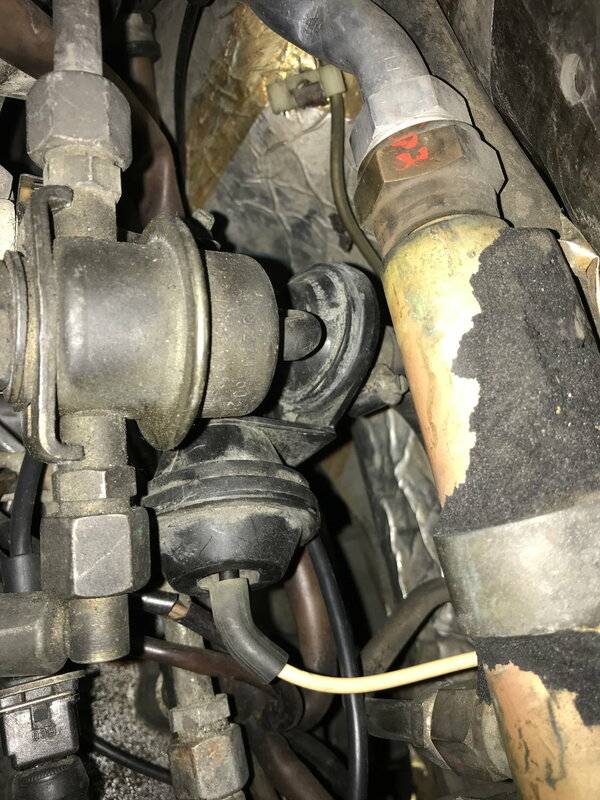 My concern here is that the HCV is connected to this other actuator unit, perhaps inseparably. Just want to know how these two work in tandem and, if needed, what part to purchase for sure. Black line was tested in both directions. My confusion here is that this line does not terminate in an actuator, so I’m not sure what is failing. Makes sense that testing from brake booster back to HVAC console would fail if green line is failing. Each of the actuators starts at he solenoids and terminates at the actuator so there should be nothing in line between them. 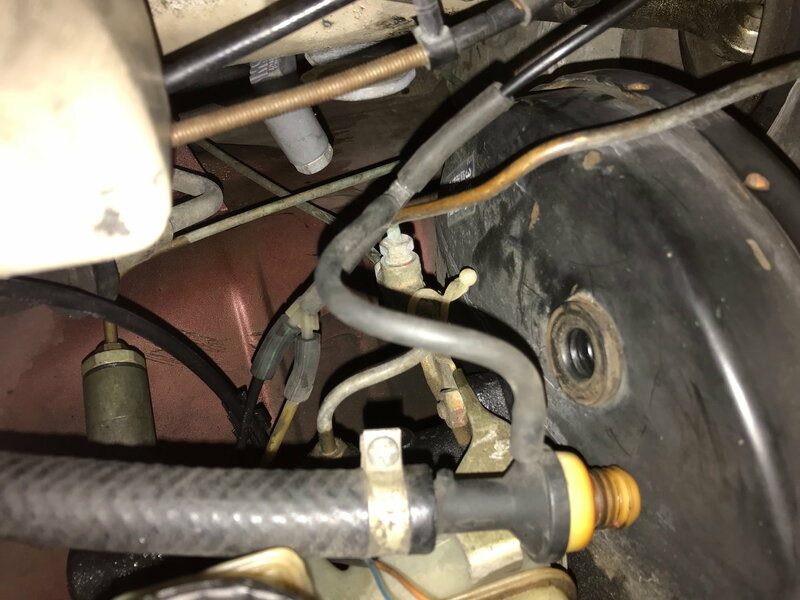 The white line goes directly to the HCV from the solenoid but, sometimes the white line is in two pieces under the cowl, by the expansion valve. So check that also, but if you put vacuum directly to the HCV then you know that's failed. The black line is the main vacuum feed and connects at the 3 way/4 way at the brake booster. Going from there to the manifold at the solenoids.